Home > Ask Our Experts > Am I Entitled To A Refund? A personal item of clothing I had purchased had been damaged by ink off the receipt from the shop. I asked the shop to refund the cost of the goods damaged. I was offered a credit note only, but the item was from another store. What are my rights for demanding cost of the garment damaged? This raises a very interesting question. If the item was damaged by ink from the receipt, did that damage occur before or after the sale? The whole thing really hinges on that question. It could effectively be argued that when the shop assistant pops the receipt in the bag with the purchase, that completes the sale, and the shop seems to be willing to at least take partial responsibility by offering a credit note. However, under the Sale of Goods Act 1979, an item has to be safe, as described, and fit for the purpose for which it was intended. It could very well be argued that the ink on the garment leaves it not as described (as you bought it) or fit for the purpose for which it was intended, and all through no fault of yours – that lies with the retailer. Prove that they were faulty, or if the shop accepts they were because of the ink, and the Act should cover you. Under those circumstances, you have the right to repair of the item, a refund, or a replacement. On that the Act is very clear. The shop might well consider the credit note a compromise – they’re offering you the chance to replace the item with another of the same value, but technically it’s not the same thing. Even if credit notes are store policy, as they seem to be in many places these days, they do not supersede the Sale of Goods Act. You have a reasonable amount of time in which to exert your rights. There are no specific limits set, but beyond a period of six months, if the shop refused to replace, repair or give a refund on the item, you’d need to prove the fault in the item wasn’t of your doing. In this instance, however, it sounds as if you’ve contacted the shop quickly. You should try to insist on repair, replace or refund, rather than a credit note. If the shop refuses, try contacting Consumer Direct or Citizens Advice Bureau (which says you don’t have to accept a credit note if the goods you’re returning are faulty). They can offer fuller advice on the situation. I had 3 folding doors supplied and fitted in 2017. A fault was detected on the glass of all 3 doors following fitting, varnishing and cleaning. After 2 months the doors were replaced by the manufacturer and refitted only to find that now 1 of the doors had the same defect as before. This was again replaced by the manufacturer. In he first instance, the retailer offered a goodwill payment towards the cost of refitting the replacement 3 doors along with an additional credit from the manufacturer which combined, almost covered he cost of cutting and refitting the new doors and which I was satisfied with. However, the cost for resizing and refitting the last door has cost £150 and the manufacturer has offered £60 credit towards costs but the retailer is not inclined to contribute towards this ongoing expense. I feel I have been inconvenienced by no fault of my own and bought the goods in good faith. I did not expect to pay out repeatedly for replacing their faulty goods. Do I have any rights regarding compensation from the retailer for refitting costs? The retailer is only bound by the Consumer Rights Act which covers replacement or repair - it doesn't cover compensation for extra costs like fitting, installing etc. You would have to use the legal system to recover any such additional expenses. I had 3 folding doors supplied and fitted in 2017. A fault was detected on the glass of all 3 doors following fitting, varnishing and cleaning.After 2 months the doors were replaced by the manufacturer and refitted only to find that now 1 of the doors had the same defect as before. This was again replaced by the manufacturer. In he first instance, the retailer offered a goodwill payment towards the cost of refitting the replacement 3 doors along with an additional credit from the manufacturer which combined, almost covered he cost of cutting and refitting the new doors and which I was satisfied with. However, the cost for resizing and refitting the last door has cost £150 and the manufacturer has offered £60 credit towards costs but the retailer is not inclined to contribute towards this ongoing expense. I feel I have been inconvenienced by no fault of my own and bought the goods in good faith. I did not expect to pay out repeatedly for replacing their faulty goods. Do I have any rights regarding compensation from the retailer for refitting costs? The retailer can usually choose whether to repair or replace the item but an attempt at repair has already been made. After 6 months the onus is on you the buyer to prove that the item was faulty/not fit for purpose when you purchased it; you've done this by getting a recommendation from the manufacturer itself that it should be replaced. There's no good reason why the retailer should refuse a replacement as they can pursue their own loss with the manufacturer. The small claims court could be your next couse of action but hopefully the retailer will replace it before you get that far. I ordered blinds for my home.The blinds ordered came without tapes. I did order tapes.I also did not like the blinds.I want a refund. But the seller will only offer to replace the blinds with new ones with new tapes.No refund. You can't have a refund if the items are bespoke and you don't like them. The manufacturer has offered to replace them with tapes, that is fair. I ordered blinds for my home. The blinds ordered came without tapes. I did order tapes. I also did not like the blinds. I want a refund. But the seller will only offer to replace the blinds with new ones with new tapes. No refund. I received a pair of earrings for Christmas; however after only wearing them for 4 weeks I have realised that one has fallen out and I can't find it. Is the manufacturer at fault for not ensuring that the earring back is sufficient? And am I entitled to a replacement? I bought a watch for my husband from an England based online company in October 2016. He has worn it a few times since and found it had stopped. The company advises changing the battery but that has had no effect. They say to send the watch to the manufacturer - at my own cost presumably- but they are not a uk based company. What is the right thing you do? I purchased a Guess Handbag from Dubai whilst we were in Holiday in October 2016. After using the handbag for two days the handbag become a faulty. on the handbag strap they had a black trim which started to fall apart. we came back to London and took the handbag to store in London. the Sale Assistant asked me to write to a head office. I wrote to the head office provided with the picture of a faulty handbag a copy of receipt which stated the date when the bag was bought on 25th October 2016. The Guess Head office reply was that they can give me a credit note and I need return the bag back to Guess. As a consumer we have a right to have a refund it the product is faulty especially if I reported within 7 days of purchase also as a consumer you loose faith in product. Hence I have been sending the email but I have not received any reply back from Guess so far. Unfortunately the Consumer Rights Act does not apply to items bought in Dubai. Here in the UK it would be the retailer's responsibility but as the retailer was in a different country you cannot ask for a refund in the same way. The manufacturer has offered a credit note, so we suggest you accept that. I purchased a Guess Handbag from Dubai whilst we were in Holiday in October 2016. After using the handbag for two days the handbag become a faulty. on the handbag strap they had a black trim which started to fall apart. we came back to London and took the handbag to store in London. the Sale Assistantasked me to write to a head office.I wrote to the head office provided with the picture of a faulty handbag a copy of receipt which stated the date when the bag was bought on 25th October 2016. The Guess Head officereply was that they can give me a credit note and I need return the bag back to Guess.As a consumer we have a right to have a refund it the product is faulty especially if I reported within 7 days of purchase also as a consumer you loose faith in product. Hence I have been sending the email but I have not received any reply back from Guess so far. My dad had a new shower unit and a new Micra shower fitted in late September by a bathroom company and within a week the shower pressure was poor and the water was going cold when set at hot.Bathroom Company sent an electrician out who checked it who said that Micra would have to send someone as he couldn't repair it.Micra engineer came did something to shower & left.Shower has worked for a few weeks but has went back to a drizzle coming out and going between freezing and roasting.Can they insist on getting a new shower fitted rather than this one being looked at again? Now you're out of the 30 day period, you may have to accept the retailer's choice of a repair or replacement (i.e the retailer can choose). I purchased a car from a garage around fifty miles from me and this was sold to me with a collapsed rear right wheel bearing. this was also MOT'd on the same day of purchase by the garage and passed. they still have the car for repair and say the part has been ordered but they have had my car three weeks so far. am I entitled to a refund as this has caused me inconvenience and they have sold me a car unfit for purpose and with an MOT that should have picked up on the fault? How long had you had the car before the fault was apparent. You only have 30 days to reject a second-hand car and get a full refund under the Consumer Rights Act. If it's more than 30 days but less than six months, you must give the garage a chance to repair the vehicle. Note if you bought a car that was not described as being in excellent condition or good working order and it you don't really have any right to reject it or to claim compensation. I bought a car about 2 Saturday's ago.The car drove fine until we got home However it would not drive since then.On examination at a mechanics ,he said that the gearbox is faulty and will cost about £1200 estimate to fix it.I have decided to return the car to the dealer,however I have spent extra money on this car just because of this problem.For instance towing vehicle fee to take the car back to the dealer.Also insurances and tax,can I ask the seller to pay this money back to me? No, the dealer does not have to refund these expenses.If you want to claim compensation for this, you should do so via the civil or small claims court. I have two matching siemens buit in ovens. one has a microwave which has been deemed irrepairable by siemens as its leaking microwaves ( its 18 months old). I bought these two to fit in a new kitchen and obviously they look the same. Siemens now want to replace the broken oven with their newer designed oven which looks nothing like the one i have. They refuse to accept that in such a short time span i am expecting them to replace both ovens so they match. I feel that as i purchased them as a pair some consideration should be given to my request, especially as i have only had them both 18 months and out of that time i have had 3 engineer visits to this oven trying to repair it. Please help. @Mike Peters. You should get a refund within 14 days of either the trader getting the goods back, or you providing evidence of having returned the goods (for example, a proof of postage receipt from the post office), whichever is the sooner. You should not have to cover the cost of returning an item. 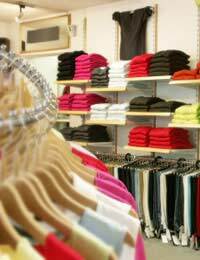 If your goods don’t match the description given, you have the same consumer rights under the Sale of Goods Act as you have when buying in store. Mail Order Returns Question. We recently did an online search for 14" Wall Hanging Baskets (the half-moon shape). We were directed straight to a retailer's Mail Order website which initially showed 14" Circular Hanging Baskets and then next to them the half-moon style which we wanted, so we then ordered and paid for four Wall Baskets to be sent. On receipt we found the baskets to be far larger - 20" in fact which are too big for our needs. On re-checking the website we found that whilst the Circular Baskets description clearly indicated 14", the Wall Baskets did not have a size in their description. However as the initial search had been specifically for 14" Wall Baskets and we had been lead to that part of the retailer's website we felt that it was only natural to presume that the two types of basket were of the same size. We wish to return these baskets either for an exchange for the correct size or a refund. After some extensive searching we find that the retailer's website does not have a Returns Policy section at all. We emailed the retailer explaining the problem of the misleading product description and asked for an exchange or refund. The Retailer responded to the effect that they only stocked that large size of basket but accepted their website was misleading and would have it updated. He then went on to say that "as there would be no-one in the office for a week or so, would we arrange to send the baskets to his home address whereupon he would refund the cost of the baskets but not the postage". This all seems very unsatisfactory: the website was wrong, there is no Returns Policy, there is no-one to accept returns at their registered address and only an offer to refund the actual cost. The baskets are quite heavy and so will be expensive to send back so is it right that we should have to bear the cost of delivery both ways when the retailer is at fault? I welcome your advice on how to proceed further. Hi I was hoping you could help me. I bought an external harddrive from a sony shop, the first couple of months that I was using it kept playing, for example, would not come up on the desktop when plugged in and also sometimes would just dissapear from the desktop and I have lost some things from there as they just have dissapeared. I was spper busy with uni work so was not abke to get to the shop for a while. However I did go in before the 12 months have run out. But all they could offer me was for their engineer to have a look at it and they refused a refund. So I am just wondering even though they cover the 12 months warranty, I wanted a refund purely because I did not want it to play up again and especially when their warranty runs out. Thank you. I order and paid for goods from the USA and they never arrived. All emails to their website have never been answerd. Its been over a month now, still nothing. What do I do ?? I booked a caravan in december for Saturday 22nd March and was told today i couldn't go because im 16, their refusing to refund my money, what can i do?